STM was recently approached by Hounslow Council to geo-rectify some aerial maps of the council district. Hounslow provided a wealth of old aerial photo scans, taken from planes throughout the last few decades, with the task of mosaicking the images so that they aligned with Ordnance Survey MasterMap data. 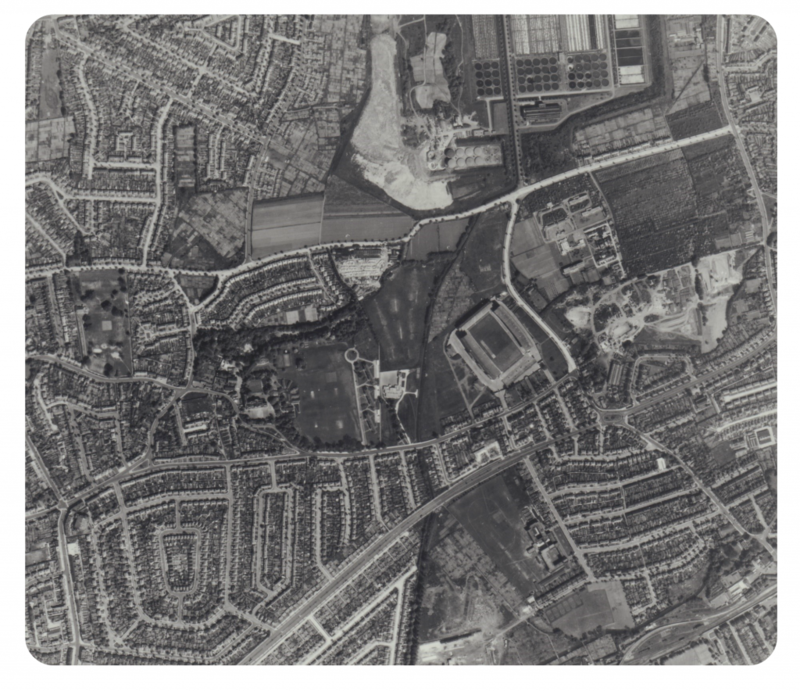 Getting to know Hounslow from the skies over the years proved to be an interesting project, with well known sites being visible from the aerial photos, such as the old Twickenham Stadium, as shown below! Using ArcGIS we were able to manipulate the aerial photos to align them with the MasterMap data, before mosaicking the individual raster files so as to create one seamless geo-referenced layer. This involved picking out areas of the aerial photo scans that had a unique nature to them, and using a geographical referencing tool in GIS software to match the points of the photo with the base MasterMap. 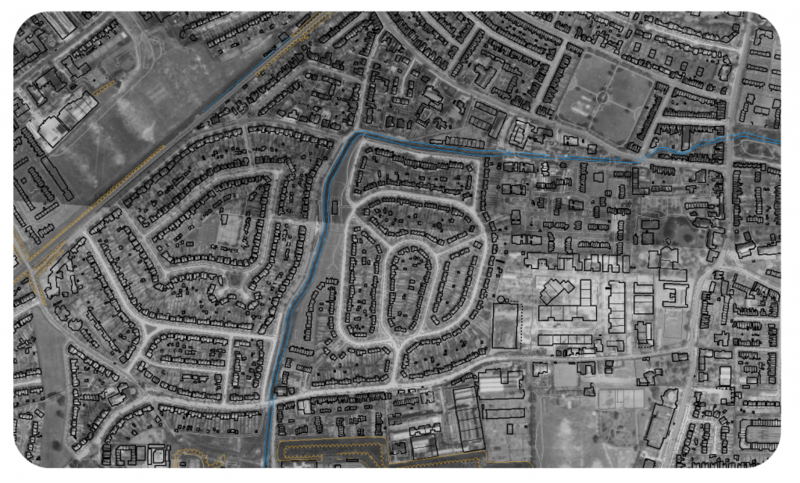 As you can see above, the geo-referenced images were extremely accurate to the MasterMap – allowing the council to have an accurate representation of how to local area has changed throughout the years, in relation to its current state. With some clever file conversions, we were able to deliver the data back to Hounslow council in an array of formats suitable for their use. Another example of STM’s expertise in data management.